Few people have garnered so much enduring interest as Sir Richard Burton. A true polymath, Burton is best known today for his translations of the Kama Sutra and Arabian Nights. Yet, Africa stood at the center of his adult life. Unfortunately, due to sales rights restrictions, we cannot offer Paths Without Glory for sale in your country. Few people have garnered so much enduring interest as Sir Richard Burton. A true polymath, Burton is best known today for his translations of the Kama Sutra and Arabian Nights. Yet, Africa stood at the center of his adult life. The Burton-Speke expedition (1856-59) that put Lake Tanganyika on the map led to years of controversy over the source of the White Nile. From 1861 to 1864 Burton served as British consul in Fernando Po and traveled widely between Ghana and Angola. He wrote prodigiously and contributed some of the first detailed ethnographic accounts of Africa's peoples. 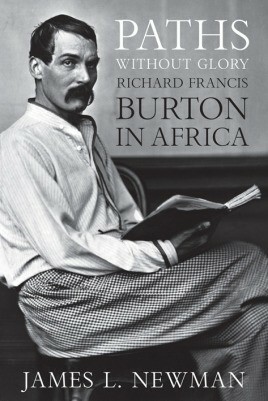 In many ways, however, Africa proved to be Burton's undoing. Injuries and sickness sapped his strength, he made enemies in high places, and, ironically, even the discovery of Lake Tanganyika worked to his disadvantage. Increasingly frustrated and bitter, he turned to alcohol as a frequent remedy. In this fascinating story of the relationship between a man and a continent, geographer James L. Newman provides an intimate portrait of Burton through careful examination of his journals and biographers'rich analyses. Delving deepest into Burton's later life and travels, Newman pinpoints the thematic mainstays of his career as a diplomat and explorer, namely his strong advocacy of aggressive imperial policies and his belief that race explained crucial human differences. Historians and scholars of the golden age of empire, as well as armchair adventurers, will not only discover what defined this famously enigmatic figure, but venture, themselves, into the heart of mid-nineteenth-century Africa.